Kindly be informed that our Susuibu/MLO Penang Outlet based in Kompleks Bukit Jambul, Penang will cease operations and will be permanently closed effective 1st November 2013. 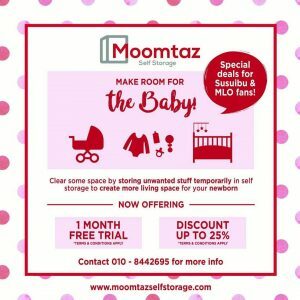 The closure of this outlet will allow the owner Pn Norashida Abd Rahman who is a qualified pharmacist, a board certified lactation consultant (IBCLC) and babywearing expert to focus on becoming more service centric. Eg. home visits/consultations, conducting workshops/talks. We wish to thank you for your support and trust that you will continue to receive quality service from Pn Norashida through Slingmemama.